This started out as a frame swap. 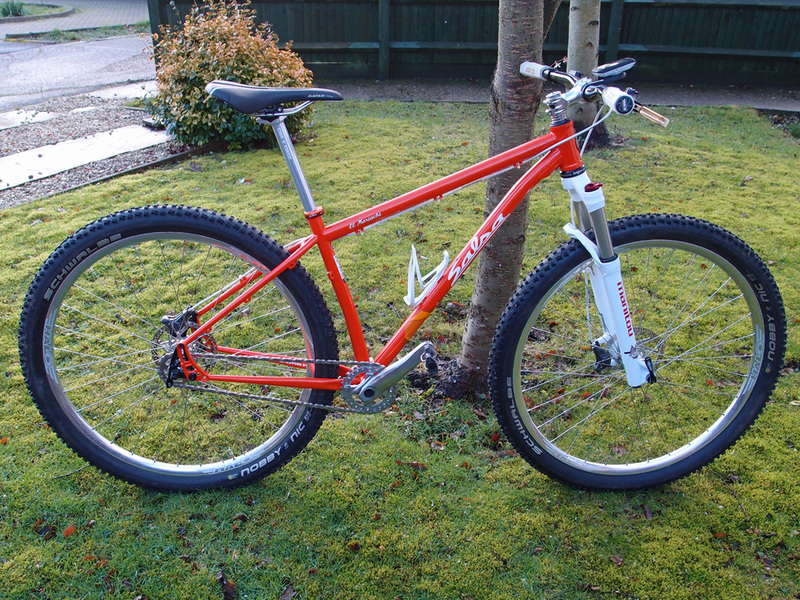 You know the sort of mental reasoning, cheap cost, very few new bits needed etc… I did keep the saddle, brakes and front chainring! 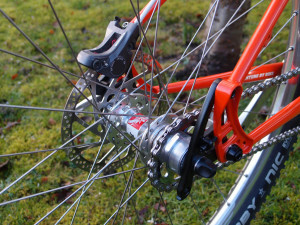 I saw the El Mariachi as a good general replacement for my singlespeed. 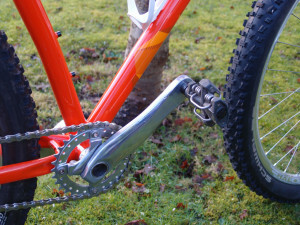 The “Alternator” drop outs allow easy chain tensioning if being run singlespeed and chainstay length adjustment if running geared. 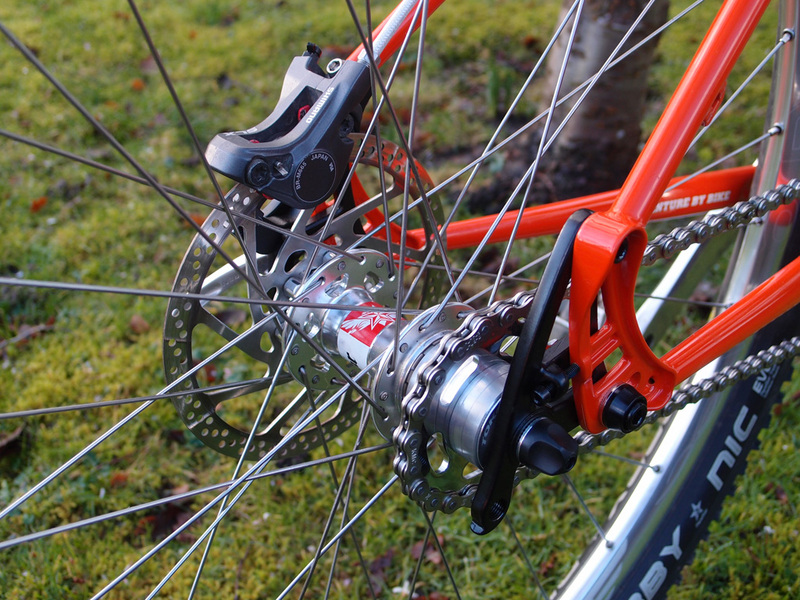 The 2014 model features shorter chainstays than the 2013 model but unlike the new Horsethief and Spearfish it isn’t specifically designed to run with 51mm offset forks. As it happens the Manitous hedge their bets and offer 48mm offset, bang in the middle of the “normal” 44mm offset and the “Gary Fisher” 51mm. 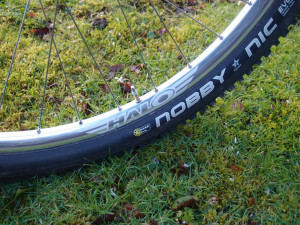 Planning wasn’t going to be too spectacular, RockShox forks would be on the plan and a wheelset based on the Stan’s rims would be ideal with a hub to suit a bolt through axle. Sorted. So I now have a bike bike with Manitou Tower Pro forks and some rather lovely Halo Vapour 29er rims in silver. This Silver has set the theme for my “retro” colour scheme. Silver is retro because it was all silver when I started in the post purple anodising era. The build went together really well over about 2 months. “2 months” I hear you cry? Yes, I got a virus, or multiple viruses and ended up being very ill and run down for almost 3 months. Cathie got quite worried as the Salsa frame box sat in the hallway for hours, then days and finally weeks before I could even muster enough interest to put it in the garage. Stripping whatever coating Shimano use on their cranks was another interesting process. Forget all the current eco-friendly (read fecking useless) paint strippers. I ended up dipping it in Caustic soda (don’t do this inside people!) which got most of it off, then a process of fine sanding paper and polish with the dremel got it to the state you see here. The VeloSolo 32T ring also started out gold from the Inbred and got reverted to plain in the caustic bath. It won’t last in that state as aluminium is rather reactive but it’ll do for now and the odd polish with Autosol should keep it looking OK.
First ride was a “gentle” ride over to Epsom Downs and back with Kevin on his newly SS converted Specialized Stumpy. It took a lot out of me but I was getting the feel for the bike as well and it performed great in our muddy routes. Second ride took me over Ranmore and this was a lot more climbing that I might have been ready for on a mid-week evening ride. On less muddy trails I realised I needed to dial in the forks a bit more but the handling was feeling sharp, sharper than the Inbred. Looks nice and hopefully the Manitou Towers perform well (for a little build that I’m doing). How many more before you have completed your gaol and got the whole Salsa range? I like the colour! Orange seems quite popular this year, especially since green got a bit over used in the last few. My Tower Pro forks were fantastic, and even better if you can get used to the back arch look. Oh and BTW you might want to have a look at the moss in that “grass” if the summer ever comes along. You leave my moss pasture alone, I’ve been cultivating that for 10 years! Very nice Dave , I look forward to having a go . Nice to see you’ve used proper handlebars . I can confirm it looks just as good ‘in the flesh’ as in the photos; well, until my route choice plastered it in mud. Even then, the silver rims were catching the eye as we looked out of the café window. We’ll have to plan a mass bike swap session as there’s quite a few interesting models in the Moles’ ‘quiver’. Fat, semi-fat, steel-framed, etc. I use Infestation as my test trail, it really shows up the character of a frame ! One of the nicest looking bikes I have seen in a while and nicely finished. Huge relief that you have fitted Proper bars at last!! Mainly on account of not having been out when Dave has been riding it. I nearly got last year’s model off Ison when they were flogging ex-demo bikes but they couldn’t manage to get back to me so I didn’t bother – I didn’t like the green they had either (a bit too BRG for me), but this orange is good and bang on trend. 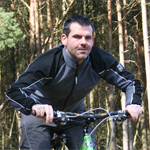 It’s also a lot better to look at than their baby-sick brown efforts on the Pugsley they had at the London Bike Show! Interesting behaviour sticking bike bits into caustic soda! Starting to think Dave’s garage is turning into a Frankenlab! Steel Paul, the same frame is available in Titanium for just over a grand more.